Foster and Sons Removals Ltd is a fourth generation family business based on strong traditions of quality and exceptional customer service. We have received the award for Best Family Business at the North Down Business Awards 2015. Foster and Sons Removals is a furniture removal and storage company based in Holywood, Co. Down. 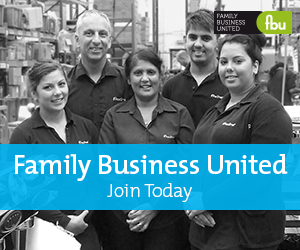 We are a fourth generation family business who carry out household removals and office and commercial re-locations. A full packing and unpacking service is available, and our warehouse facility can provide short or long term storage when required. Our company has been trading for over 90 years. Foster and Sons is one of the longest established removal companies in Northern Ireland. Family history relates that our first removal truck went on the road in 1921, but household removals were carried out by the company with a horse and cart much earlier, probably in the late 1800s. Paul Foster is the current managing director and owner of the business which was started by his great grandfather Samuel Foster. Samuel was eventually joined by his son Robert Foster, and much later his son Maurice (Paul’s father) took over the business. Paul enjoyed helping out on the trucks from an early age, and continued the family tradition of father and son working together. Sadly Maurice died in 2007 after a short illness, and Paul took over the company at what was a difficult time due to the recession. Paul has managed to keep the business going and we are now busier than ever with the housing market thriving again. The Foster family have always been keen to support local activities in their community, and the business has provided sponsorship for Holywood Rugby Club for many years. Both Maurice and Paul played for the club, and Paul was Captain of the 1st XV for several seasons. Maurice Foster was president of the club when he died. The Foster family have many musical connections and Foster and Sons have also been one of the sponsors for the Holywood Music Festival since it was launched in 2003. We always endeavor to look after our local Holywood residents, and much of our business comes through personal recommendation. We have many customers who have used our service several times over the years. Our removal teams are frequently praised for their friendly manner, professionalism, and helpfulness.